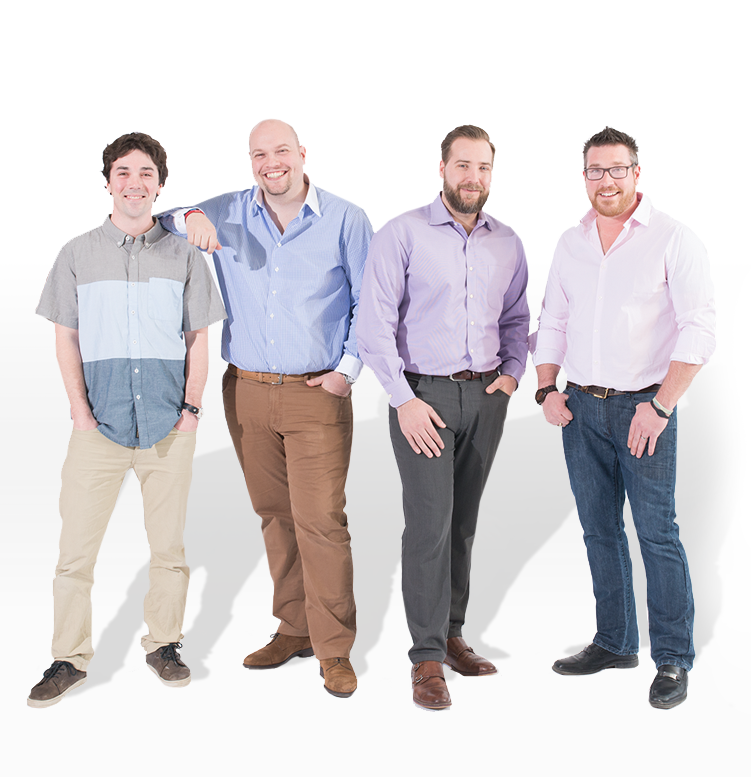 Save time and download our Measurement Sheet to calculate your cover size. Call or bring in the form to your local Pioneer location for a price. 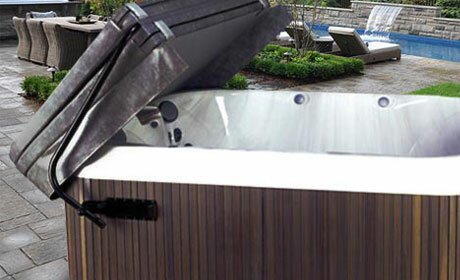 Once you’ve made the incredible decision to purchase a hot tub, the next thing you’ll need is a Cover Lifter that suits your needs best. 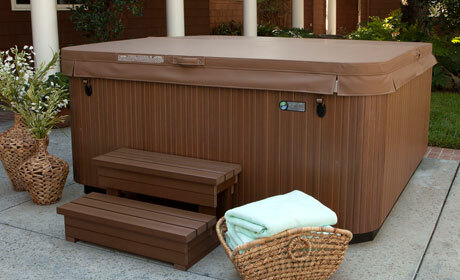 A Cover Lifter may seem like another cost up front, but you’ll soon realize that it will not only save you money over time, it will also save your equipment, your back, and your level of relaxation after using your hot tub. Dual pneumatic gas springs placed in the arms provide a smooth transition from open to closed. The low profile design offers minimal intrusion to the surrounding area helping you save space, and allowing this cover lifter to fit in almost any space with as little as 24” required clearance. The Cover Cradle II systems uses the revolutionary pneumatic action from the original Cover Cradle, but simplifies the operation to a single pneumatic gas spring that provides smoother operation when opening or closing your cover. The UpRite lifter provides quick and easy access by simply flipping the cover lid, but what makes this cover truly unique is that it doubles as a privacy fence. 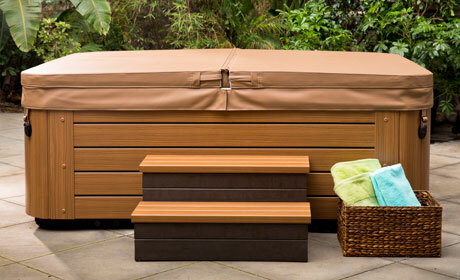 Shield your neighbours and create the soothingand private sanctuary in your backyard, on your deck, or under a gazebo. 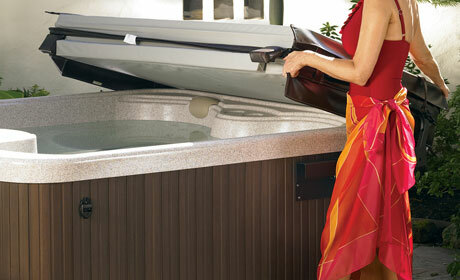 The Lift N’ Glide cover lifter system makes accessing your hot tub easier than ever. Simply lift the front to engage the gliding mechanism, push the cover back to its final position, then simply flip your cover open. 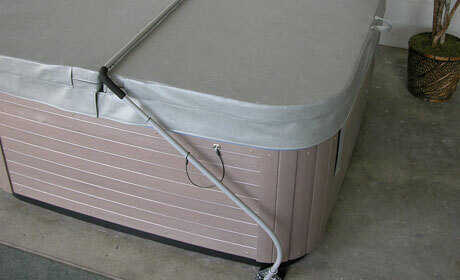 The CoverPlay VersaMount cover lifter system provides a sturdy and durable solution for opening and closing your hot tub cover. 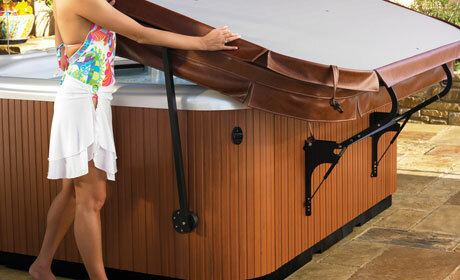 Engineered with powder coated aluminum, let this resilient mounting system provides years of worry free enjoyment. The Universal cover lifter is a simple to use, easy to install lifter system made from the highest quality materials to provide long lasting and simple access. With only 15” required clearance, this lifter system is perfect for decks or gazebos, and adds the additional privacy shield.